Sarah Baldwin Temple was born on October 31, 1912 in Concordville, PA. She was an only child of William Paxson Temple (b. 6/15/1873 in Concordville, PA, d. 1/20/1941 in West Chester) and Mary Griffith Baldwin (b.11/16/1873 in Chester, PA, d. 1962 in West Chester, PA at the Hickman Friends Home). Sarah's Grandfather was Richard Jacob Baldwin who was Republican Speaker of the House in Pennsylvania. Sarah married (1) Robert Hamilton Gillespie on July 10, 1935 in Concordville, PA, son of Robert Hamilton Gillespie and Laura Foy Davis. Laura Foy was a dentist and a writter and in 1912 published a book about the Alamo called "The Defenders". Robert was also a dentist and an only child born on May 30, 1914 in Kansas City, MO. Laura (now divorced) was apparently not into parenting because she placed her son Robert with the Sims at the age of three and he stayed with them until he was thirteen. 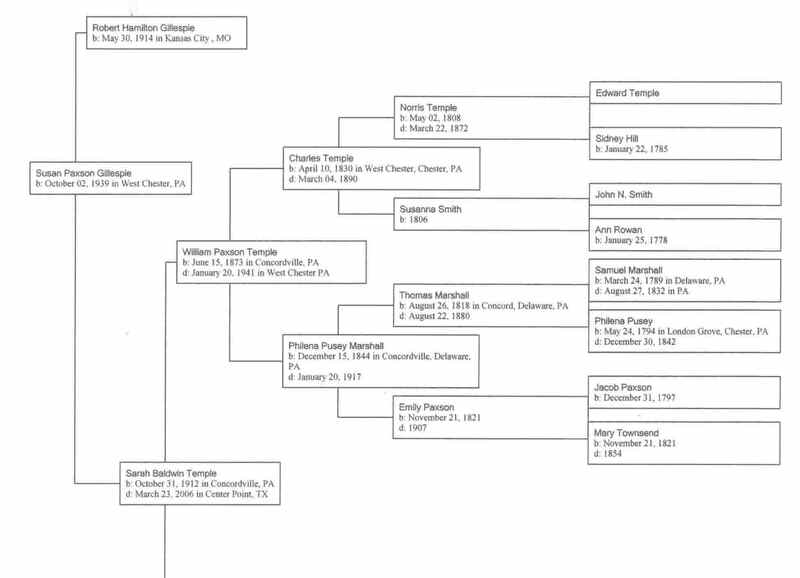 Robert and Sarah had 6 children, Robert Temple (b. 11/15/1936 in Mercedes, TX), Mary Josephine, (b. 8/ 30/1938 in West Chester, PA), Susan Paxson, (b. 10/ 2/1939 in West Chester, PA), Florence Richard, (b. 2/12/1943 in West Chester, PA), Jeanette Arthur, (b. 7/ 29/1945 in West Chester), and Erskine Theodore , (b. / 22/1946 in Dover, DE, d. 8/91 in Jacksonville, FL). On April 8, 1946, Sarah married (2) Theodore Parks in Elkton, MD. He was the son of Theodore Parks and Madeline ONeill. He was born on October 8, 1910 in Terry, MT, and died April 10, 1981 in San Antonio, TX. Sarah and Theodore had 4 children, Madeline Baldwin (b. 6/20/1949 in Dover, DE), Carol Sarah (b. 6/26/1952 in Dover, DE), Elizabeth Jennie (b. 4/ 22/1954 in Dover, DE). and Deborah Doris (b. 1/17/1957 in Dover, DE). 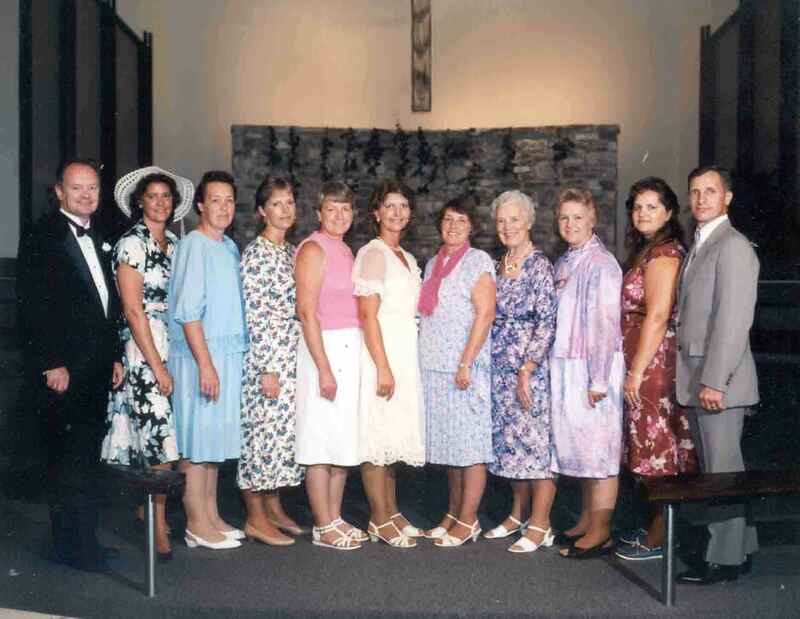 Left to Right: Robert Temple Gillespie, Elizabeth Jennie Parks Chapman, Florence Richard Gillespie Pinder, Madeline Baldwin Parks Hubbard, Jeanette Arthur Gillespie Lighthall, Carol Sarah Parks Williams, Susan Paxson Gillespie Rosier, Sarah Baldwin Temple Parks, Mary Josephine Gillespie Costa, Deborah Doris Parks, Erskine Theodore Gillespie. Robert Temple Gillespie was born on November 15, 1936 in Mercedes, Texas. He married Geradine Hess in Lititz, PA on date. They had three children, Meria (b.12/18/1961 in Gettysburg, PA), Julie Ann (b. 1/15/1965 in Gettysburg, PA), and Sally (b. 10/25/1968 in San Antonio, Texas). Meria married (1) Mac Martirossian on August 9, 1986 and they had two children (twins), Alexandra Nicole (b. 5/3/1990 in Dallas, TX) and Jordan Prescott (b.5/3/1990 in Dallas, TX.). Julie Ann married Manuel Andrade (aka Mani) on April 8,1995 in San Antonio, TX. They had one child Danielle Sarah (b.10/12/1998). Sally did not marry. Mary Josephine Gillespie Costa was born on August 30, 1938 in West Chester, PA. She married John Roderick Costa on October 13, 1956 in East Falmouth, MA. He was born on December 3, 1936 in Barnstable, MA. They had three children, Beverly Ann (b.7/10/1957 in Dover, DE), Elaine Marie (b.9/23/1958 in Dover, DE; d.1/15/1996 in Dover, DE), and Brian Steven (b.2/11/1966 in East Falmouth, MA). Beverly married James Ciavola in Falmouth, MA and had one child Jared Alexander (b. 4/03/1987 in Falmouth, MA). 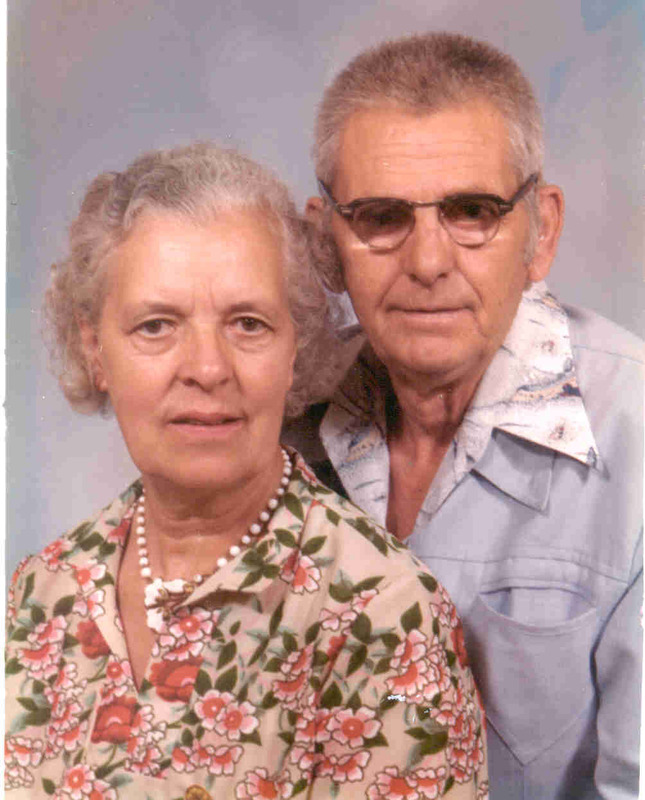 Elaine married Carl Ray Shaffer in Dover, DE and had one child Carl Nicholas (b.7/29/1985 in Milford, DE. Elaine died early on January 1997 in Dover, DE and Carl Nicholas was raised by his grandparents, Mary and John Costa. Brian Steven did not marry. Susan Paxson Gillespie Rosier was born on October 2, 1939 in West Chester, PA. She married Robert Edwin Rosier on June 11, 1960 in Camden, DE at Quaker meeting. He was born on August 26, 1938 in Morgantown, WV. They had three children, Mark Edwin (b.4/1/1964 in Alexandria, VA), Thomas Edwin (b.4/11/1968 in Greensboro, NC), and Cheryl Renee (b.6/7/1970 in Greensboro, NC.). Mark married Jodi Lee Crouch (b. 5/18/1962) on May 18, 1983 in Boerne, Texas. She had one child from a previous marriage Aaron Daniel Crouch (b. 9/12/date). They had one child Victoria Renee (b. 11/29/1984) in San Antonio, TX. Thomas married Rebecca Tally on 3/5/1998 at the United Methodist Church in Boerne, TX. They had two children, Brandon Thomas (b.May 4. 1999) and Brianna Caitlyn (b. 7/19/2001). Cheryl married Craig Davis on December 30, 1999 and they had Hunter Allen (b.September 28, 2006). Florence Richard Gillespie Pinder was born on February 12, 1943 in West Chester, PA. She married Donald Pinder in Elkton, MD on November 26, 1960. He was born on May 30, 1936 in Dover, DE. They had four children, Karen Denice (b. 3/6/1961) in Dover, DE), Robin Dee (b. 2/22/1962) in Dover, DE), Kimberly Ann (b. 6/10/1965) in Dover, DE), and Audra Sue (b. 8/2/1968 in Dover, DE). Karen has two children, Erica Michelle Wigington (b. 8/6/1988) and John Paul Wigington (b. 4/6/1993. Robin has two children, Robert Edwin Kling (b. 2/21/1987) and Brittney Ann Koch (2/22/1989). Kimberly has no children. Audra has three children, Tyler Mitchell Pinder (b. 10/20/1993), Autumn Nicole Pinder (b. 5/14/1991) and Edward Lee Smith II (4/18/2006). Autumn has three sons, Jayden Andrew Ramirez (b. 12/18/2009), Christian Giovanni Ramirez (b. 3/5/2012), and Sebastion Cruz Ramirez (b. 4/18/2013). Jeanette Arthur Gillespie Lighthall was born on July 29, 1945 in Dover, DE. and died September 22, 2016. She married Larry Gene Lighthall on December 27, 1964 in Kenton, DE. He was born on July 2, 1943 in Janesville, NY. and died on May 28, 2004. They had two children, Jeffrey James (b. 3/10/1970 in Dover, DE), and Jennifer Lee (b. 12/25/1972 in Dover, DE). Jeffrey married Sherry Yvonne Ensley on April 16, 1994 and they had three children, Kathryn Olivia (b. 11/23/1995), Haley Alyssa (b. 9/22/1997), and Nathanael Owen (b. 3/11/1999). Kathryn married Joshua Edward DiLorenzo on August 20, 2016. Jennifer married Kevin Gene Weiss onSeptember 15, 2000 in Las Vegas, NV. They have no children. Erskine Theodore Gillespie was born on November 22, 1946 in Dover DE, and died early in life in Jacksonville, FL in August 1991. He married Yvonne Cain on date. They had three children, Gene (b. 7/17/1969 in Norfolk, VA), Twin Rhonda (b.7/17/1969 in Norfolk, VA), and Gary (b. 5/1971 in Norfolk, VA). Gary married Kristi and they had Kody (b.8/1994), Kate (b.12/1998) and Kamary. Madeline Baldwin Parks was born on June 20, 1949 in Dover, DE. She married (1) Francis Christopher Coursey, Jr in Barclay, MD on July 22, 1967. They had two children, Kimberly Dawn (b. 9/11/1969 in Chestertown, MD) and Francis Christopher (b.7/16/1973 in Dover, DE). On April 1, 1994 she married (2) Bryan Kurt Hubbard (b. 10/24/1952, d. 9/29/2008) in Miami, FL. They had no children together. Kimberly Dawn married (1) Jason Bowden on September 3, 1995 and they had one child Chelsea Renee (b. 5/18/1993). Later, Kimberly Dawn and Clinton Oscar May (aka Stoney) had two children together; Abigail Rose May (b. 6/4/2002)and Joshua Clinton May (b. 9/6/2004). Francis Christopher married Margaret Cole (aka Maggie) on May 3, 1997. They had two children, Christopher Cole (b.8/22/1997) and Phillip Alexander (b. 9/14/2000). Carol Sarah Parks was born on June 26, 1952. She married (1) Dale Benjamin Price in July 1975. They had one child, Justin Dale Price (b. 8/23/1978) in Dover, DE). On June 6, 1986 she married (2) Jeffery David Williams and they had Jeffery Scott (b. 11/date in Kerrville, TX). Elizabeth Jennie Parks (aka Liz) was born on April 22, 1954 in Dover, DE. She married (1) Brad Kinzer and had one child Zakree Chapman (b.1/4/1979 in Dover, DE). Elizabeth married (2) James Chapman in Centerpoint, TX on December 9, 1985. They had one child Eric Gipson (b.8/30/1985). Eric married Candice Clark (b. ) on March 3, 2013. They had Hadley Michelle (7/14/2014) and Gipson Parker (5/10/2017). Deborah Doris Parks (aka Debbie) was born on January 17, 1957 in Dover, DE. She married Joe Hernandez on 12/13/1975 and had one child, Shane (b. 10.1/1976) in Kerrville, TX). Shane had one son, Ayden (b. 2/28/2017). Deborah married (2) Ronnie Gale Pruitt (b. 4/14/1952) and had one child Valerie (b.10/19/1980). Valerie married Aaron Z. Landrum (b.6/26/1981) on June 4, 2005. Valerie and Aaron have two children, Morgan (b. 5/15/2008) and Makayla (b. 10/24/2016). The earliest information I found on the Temple side of the family was William I Longword who married Adela (Sprota) de Seblis around 0930. My wife is Susan Gillespie Roisier, and William and Adela were her 33rd great grandparents. They had a son, Richard I "The Fearless" Longsword born August 28, 0933 and died November 20, 0996. He had the title of The Duke of Normandy and married Gunnora (Albereda) de Crepon in 0962. She was born in Normandy in 0936 and died in France in 1031. Her father was Herbastus de Crepon who was born in 0911. Mrs. de Crepon was born in 0916. Louis IV of France took the boy-duke into his protective custody, apparently intent upon reuniting Normandy to the crown's domain: but in 945 Louis was captured by the Normans, and Richard was returned to his people. Richard withstood further Carolingian attempts to subdue his duchy and in 987 was instrumental in securing the French crown for his brother-in-law, Robertian Hugh Capet. Richard and Gunnora had two children, Richard II "The Good" Longsword, who was also titled Duke of Normandy, and Hedwige Longword. Richard II was born in 0963 and died August 28, 1027. He married Judith de Bretagne (Judith of Brittany) and they had Robert I "The Magnificent". Hedwige married Geoffrey and had a child named Emme. Richard The Good, French Richard Le Bonduke of Normandy (963-1027), son of Richard I the Fearless. He held his own against a peasant insurrection, helped Robert II of France against the duchy of Burgundy, and repelled an English attack on the Cotetin Peninsula that was led by the Anglo-Saxon King II the Unready. He also pursued a reform of theNorman monasteries. Duke Robert I "The Magnificent" Longword was also listed as "Duke Robert the Devel" and he married Herleva. They had a daughter named Matilda of Flanders who married William T England the latter being born in 1027. William and Matilda had a daughter Matilda of Scotland who married Henry England. Henry was born in 1068. Matilda of Scotland and Henry England had a daughter in 1103 also named Matilda who married Earl Geoffrey V. "The Fair" Plantagenet of Anjou on April 3, 1127. He was born on August 24, 1113 in Angouleme, France and died in England on September 7, 1150. Queen Matilda (Maude) Beauclerc of England was born in 1102 in London, Middlesex, England. She died on September 1166 atr Notre Dame, Rouen, Seine-Maritime, France. They had three sons: Henry "Curtmantle" Plantagenet (b. 1133) who became King Henry II of England, Duke Goeffroy VI Plantagenet de Anjou & Bretagne, and Count Wilhelkm (William) Plantagenet of Poiton. King Henry II (Plantagenet) married the Duchess Eleanor of Aquitaine. Henry and the Duchess had a son John Lackland in 1167 who also became the King of England. He married Isabella of Angouleme. They had a son Henry III in 1207 who inherited the throne. King Henry III (b. October 1, 1207 d. November 16, 1272) married Eleanor of Provence (b. 1223) and they had a son Edward I of England (b June 17, 1239). Edward married Eleanor of Castile (b. 1246) and their son was Edward II (b.April 25, 1284) King of England. Edward II married Isabella DeFrance becoming Queen of England. Edward II and Isabella had a son Edward III (b.1312, d. 1377) who became King of England in date. He married Phillippa. Their son John of Gaunt married Katherine Suynford. Katherine died in 1403. Their son John D. Somerset (d.1410) married Margaret Holland (d.1440). Their son was Edmund B. of Somerset who married Lady Alianore Beaucamp. Edmund and Lady Alianore had a son Henry Beufort (b.1436) who was the Duke of Somerset. Herny Beufort married Joan Hill and they had a son Charles Somerset, Earl of Worchester (b. 1460). Charles married Elizabeth Herbert and they had a son Henry. Henry married Elizabeth Brown and they had a daughter Eleanor. Eleanor married Sir Roger Vaughan and they had a son Watkin. Watkin married Joan A P Givilam and they had a son Sir William Vaighan. Sir William married Catherine Havard and had a daughter Catherine. Sir William died in 1564. Catherine married David Evan and they had a daughter Mary. Mary married Thomas Bassett and they had a daughter Catherine born in 1589. Catherine married Evan Richard (Pritchard) of Collenna (b.1585 in Collena, Wales) and they had a daughter Ann Pritchard born in 1614. She married Ralph Lewis (b.1610). They had a son Ralph (b.1649). Ralph (b.1649,d.7/17/1710) married Mary Sharpless (b. ? d. 7/02/1704) on December 20, 1699. They had a daughter Mary born May 10, 1674. The earliest information I found on the Baldwin side of the family was William Baldwin (b. abt. 1631). He married Mary (b. abt. 1635) and they had a son Francis Baldwin born April 20, 1667 in England (d.1702 in New Castle, DE.) My wife is Susan Gillespie Rosier, and William and Mary were her 6th great grandparents. Francis married Cecily Coebourue (b. 1661 d. 1702) in 1691 and had three sons, John (b. 1697), Francis (b.abt. 1700) and Thomas (b.1692). John Baldwin was born on June 10, 1697 in West Chester, PA. On April 11, 1719, he married Hannah Johnson (b. abt. 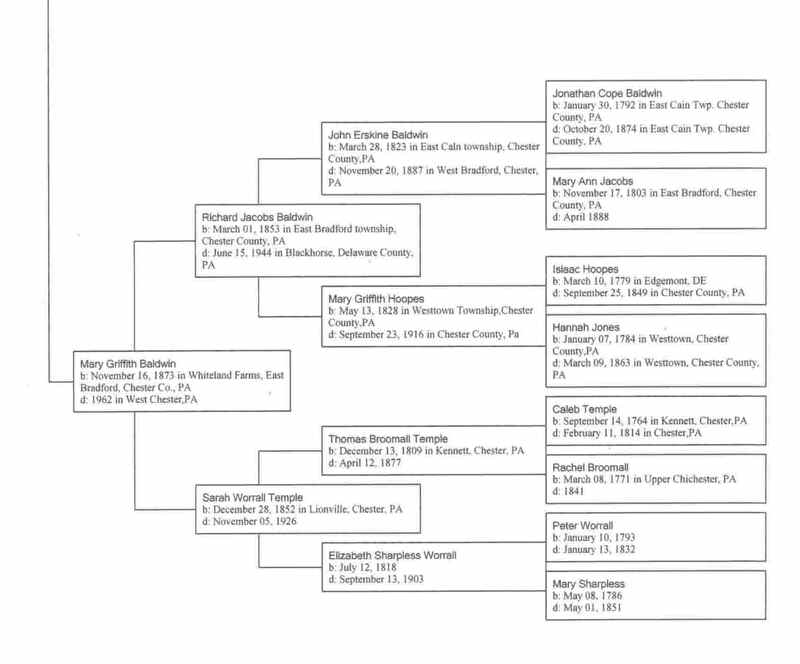 1700) and they had three children, John (b.12/22/1719 in Aston, PA, d.1787 in East Cain, PA), Joshua (b. 11/03/1721 in Chester Co., PA), and Sarah (b. 1726 d. Bef.1790). On September 9, 1743 John married Ann Pierce at Concord Meeting. They had four children, Caleb (b.8/31/1749 in Chester Co., PA,d.9/2/1826 ), Ann (b.6/20/1752, d. ), John (b.6/2/1748 ), and Mary (b.6/17/1744). Caleb married Charity Cope on November 24, 1774 and they had two children, Jonathan Cope (b.1/30/1792, d. ) and John Erskine (b.3/28/1823). Jonathan Cope Baldwin married Mary Ann Jacobs in 1822 and they had John Erskine (b.3/28/1823, d.11/20/1887 in Chester, PA). John married Mary Griffith Hoopes (b.5/13/1828 d.9/23/1916) on December 26, 1850. They had Richard Jacob Baldwin (b.3/1/1853, d.1944), and Richard married Sarah Worrall Temple in February 1873 in Philadelphia. Richard and Sarah had ten children. The first child was Mary Griffith Baldwin (b.11/16/1873, d. 1962).